Take the easy coastal St James walkway along the sea from Muizenberg to Kalk Bay. 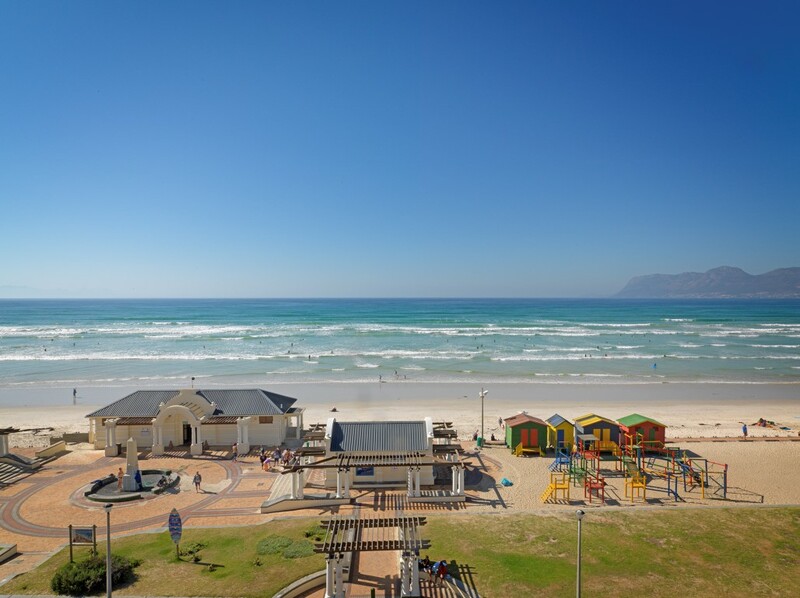 The waterside path runs along the railway line and goes past the tidal pool (you must stop for a swim) at St James, explore the rock pools and coastal indigenous flora and continue all the way to the delightful harbour village of Kalk Bay. Discover this part of the coastline’s Historical Mile. 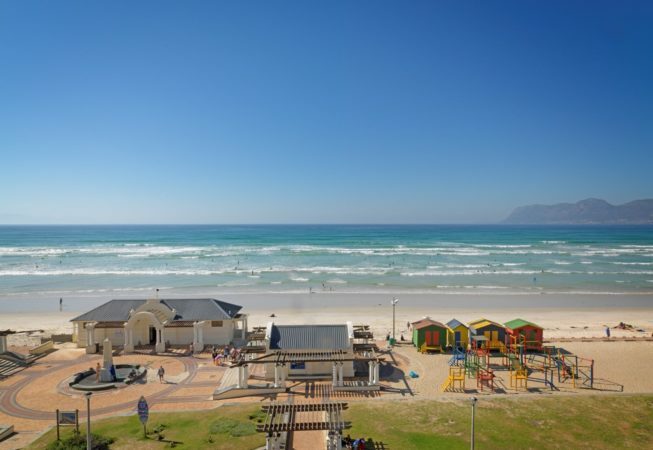 Consider walking tours to the newly refurbished (and operational) Muizenberg Station, the Het Posthys (‘the post house’ in Dutch was built in the 1670s and is one of Cape Town’s oldest buildings), the police museum and Cecil John Rhodes’s cottage, once the private retreat of the controversial mining figure in South Africa’s colonial history. This is where he spent his last days. There is also the magnificent Casa Labia, once the stately Muizenberg home of Count and Countess Natale Labia. Now a cultural centre, it features an art gallery, design boutique and a tempting Italian cafe. Hire a bike from Caledonian Cycles and use wheels to explore the village surrounds. Take the monthly steam train that runs from the Cape Town station in the City all the way along the coast to Simonstown. Stop for lunch and return after an unforgettable day. A magical experience for children and grown up children alike. Venture on to the walking trails on this, the spine of Table Mountain. Access to many of the trails is from Boyes Drive - up to Echo Valley, Silvermine and the Spes Bona forest, a natural yellowwood forest in the Table Mountain Nature Reserve. Take a drive up to Boyes Drive where the views of the entire bay across to Gordon’s Bay are breathtaking. Test your handicap in the Southern Peninsula’s many exceptional golf courses. Clovelly, Westlake and Steenberg are world-class courses that are very close by. Don’t drive as far as Hermanus – whale season (August to November) comes to False Bay too and whale watching here can be just as successful. Whales and dolphins are often visible from the road during breeding season, but you can also opt to take a boat out to Seal Island from Simonstown, also famous as a hunting ground for Great White sharks. * The working harbour of Kalk Bay. Buy fish on the docks, fine dine on the rocks at Harbour House, insist on ‘slap’ chips on the quay or fish from the harbour wall. Go for a drink at the famous Brass Bell, catch the vibe at the groovy Cape To Cuba, shop in the delightful boutiques or vintage stores along Atlantic Road, get lost in books in The Kalk Bay Bookshop and breakfast or lunch at the old bakery that is now the famous Olympia Café. * Visit the naval town of Simonstown with its navy and toy museums, tributes to the famous naval dog, “Just Nuisance” and some of the best eateries and vintage shopping in Cape Town. * Don’t miss the protected African penguin colony at Boulders. The beach experience is one of the best in the country. The baboon troops along the roadside are wild and a great spectacle (please don’t feed them, they are part of a delicate eco-system. And they can be very aggressive). * Take the funicular to the lighthouse in the Table Mountain National Park at Cape Point, a World Heritage site. This is not, as commonly thought, the most southern point of Africa (that is, in fact, Cape Agulhas, 150 kilometers to the east), and it’s at a fluctuating point between Agulhas and Cape Point that the two oceans, the warm Indian and cold Atlantic, meet. * Drive one of the world’s most scenic roads, Chapmans Peak which will take you from the charming equine-friendly village of Noordhoek (stop to visit the varied delights in the Noordhoek Farm Village or horse-ride on the endless stretch of sand that is Long Beach) to the beach of Hout Bay. And then there’s plenty more to do… tomorrow.